It is recommended by the American Academy of Dermatology to perform Skin Self-Exams at least once a month and a full body skin exam with your Dermatologist is recommended yearly. Annual full body skin exams and Self skin exams lead to early detection of melanoma and non-melanoma skin cancers. 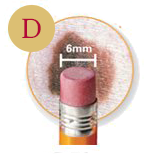 When examining the skin look for changes to the skin and moles that are suspicious or irregular in shape size or color, or look for mole/moles that stand out or look different then your other moles. The best time to examine your skin is after a shower in a well-lit room. You can record you moles with a body map or take pictures every month to determine if there have been any changes. This will also keep you familiar with the location and details of different moles, birthmarks and other lesions that may occur on your skin. You may have to ask for help from a spouse or friend to take pictures and/or document the moles in hard to see areas such as your back or the back of your legs. 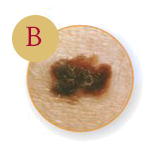 When performing Skin Self-Exams look for signs of melanoma, follow the ABCDEs. 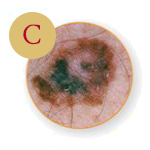 When melanoma is detected early it is very treatable. Malanoma can vary greatly in how it looks. 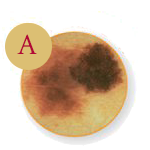 Some melanomas can have features of all ABCDEs however some may only display a few of the characteristics discussed above. If you notice any of these changes make an appointment to see your Dermatologist as soon as possible. It is also important to have your annual full body skin exam done by your dermatologist as well. Call our office today to schedule your next full body skin exam.